If you have ever looked in the fridge or freezer and wondered what to do with minced pork, then this post is for you. 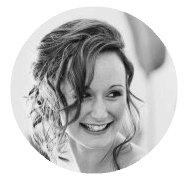 I have curated a stunning collection of healthier pork mince recipes for you to ponder and fill out your meal plans with. Pork mince is as tasty as it is versatile. Being high in protein and rich in many vitamins and minerals, lean pork can be an excellent addition to a healthy diet. 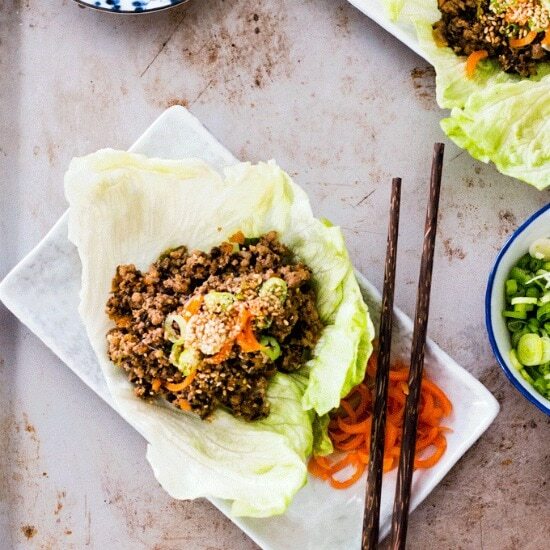 From stir-fries to pastas, lettuce wraps to burgers you can find a way to incorporate pork mince into your weekly meal plan with no problem. 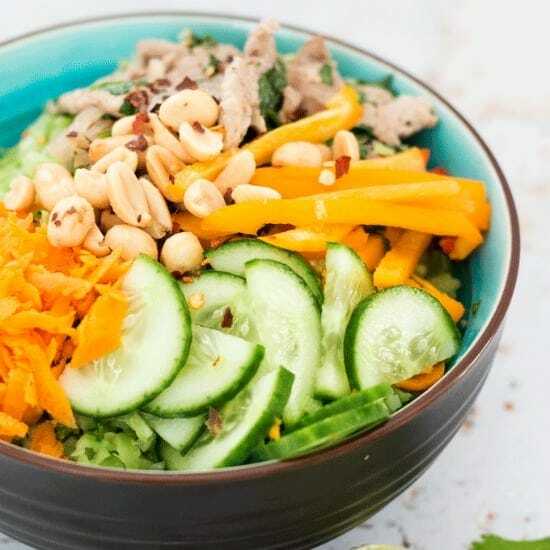 This Vietnamese Pork and Riced Broccoli Bowl from Whole Food Bellies is a quick and easy ‘pick-n-mix’ style dinner the kids will love to put together themselves. Just pop all the elements for this bowl on a big board and let them create their own little masterpiece. 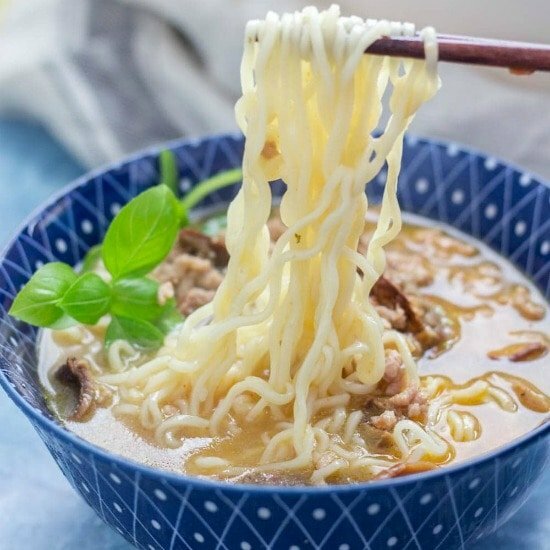 Make this Pork and Courgette Ramen recipe from The Cook Report for a quick weeknight dinner. Now you can have ramen on the table in less than half an hour! How about some Egg Roll in a Bowl from The Rising Spoon? 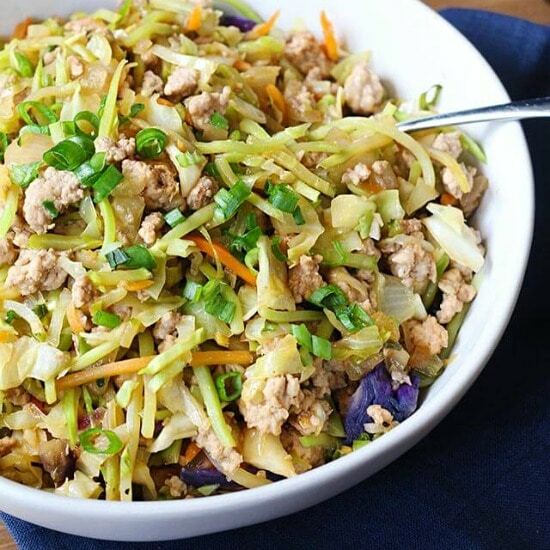 This is an easy 30-minute meal packed with simple, fresh ingredients and inexpensive pantry staples like cabbage, carrot, broccoli, ground pork, garlic, onion, and tamari or soy sauce. 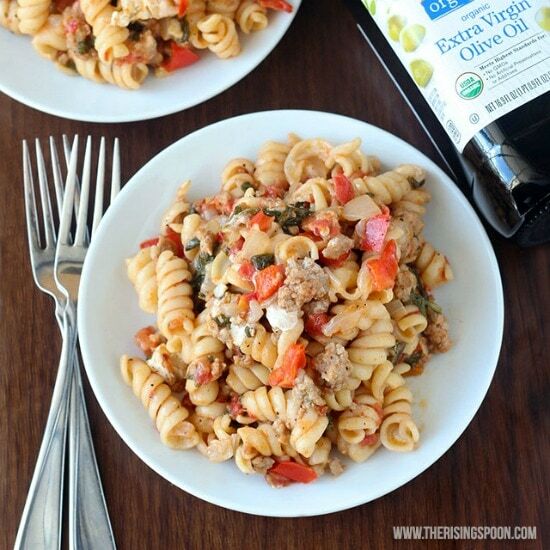 Serve it on a busy weeknight for a fast fresh dinner that everyone will love! (paleo, low-carb & gluten-free). 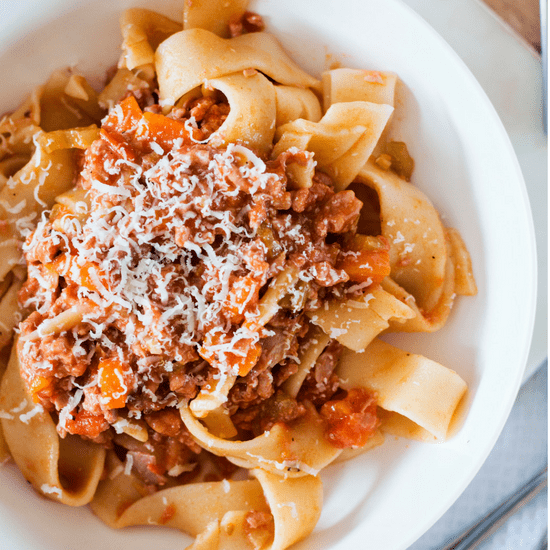 Belly warming and made with love, this Slow Cooked Minced Pork Ragu from Whole Food Bellies is the perfect way to celebrate the weekend. Pour yourself a glass of wine and spend some time in the kitchen preparing this heavenly dish for your loved ones. One Pot Pasta with Italian Sausage from The Rising Spoon only takes about 35 minutes from start to finish, so you can fix it any night of the week and reheat the leftovers for a quick, healthy, and nourishing meal. 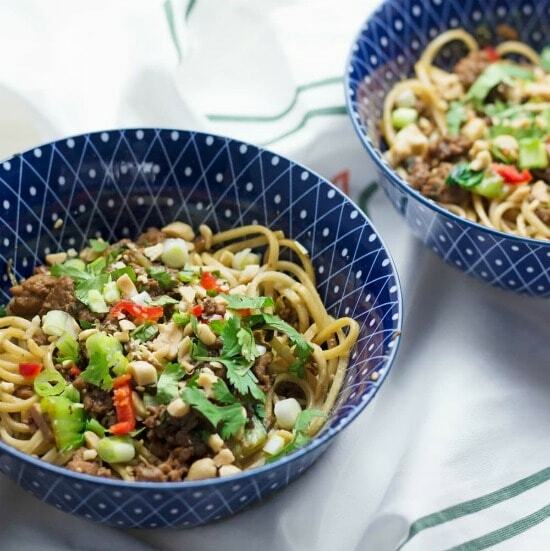 These Quick and Easy Spicy Pork Mince Noodles from The Cook Report are your next easy weeknight recipe! Have dinner on the table in less than half an hour and serve a meal with a kick. They really are the perfect use for minced pork. Honey Ginger and Garlic Pork Meatballs from Whole Food Bellies are sticky little balls of flavor the whole family will love. Baked, not fried, and they even make their own super sticky sauce right there when they are baking – perfect for pouring over some noodles when serving up. 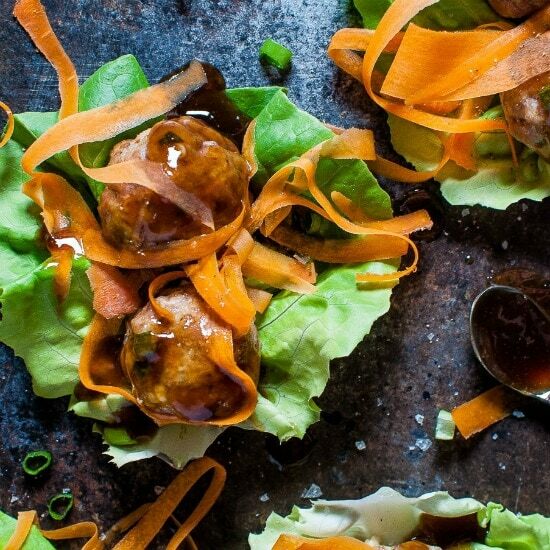 These Teriyaki Meatball Lettuce Wraps from Salt and Lavender make the perfect light meal! 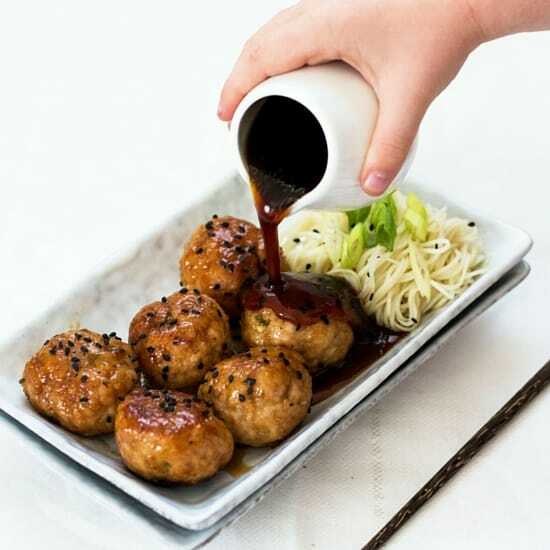 Tender, flavorful pork meatballs are coated in an easy and delicious homemade teriyaki sauce. 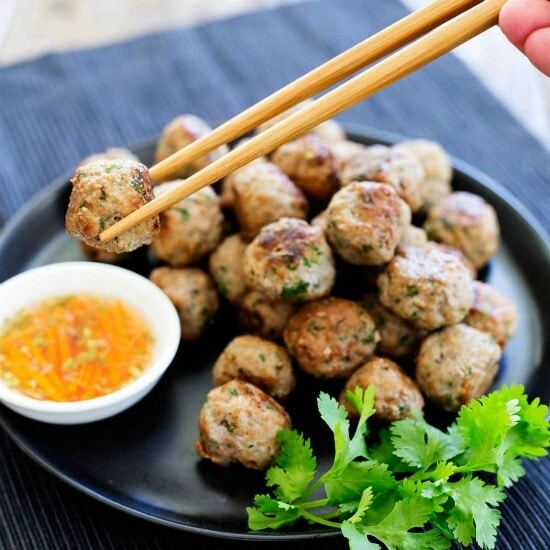 These Whole 30 Sweet and Sour Asian Pork Balls from What a Girl Eats make a great Whole30 compliant appetizer, especially if you’re trying to stay on target over the holidays. 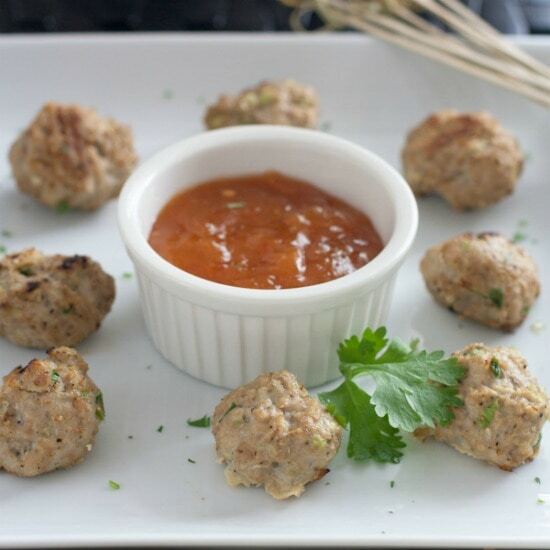 These Thai Pork Meatballs from Sprinkles and Sprouts are flavor bombs! Fabulous thai flavors in easy to eat form! Serve these as a canapé, nibble or appetizer. Or cook them up as part of a Thai banquet. However you make them, make sure you grab a few for yourself as these go quickly. If you have to smuggle vegetables for yourself, your husband or your kids then this Pork and Vegetable San Choy Bow recipe from Whole Food Bellies is for you. The veggies are so well hidden in the mixture they won’t complain a bit. 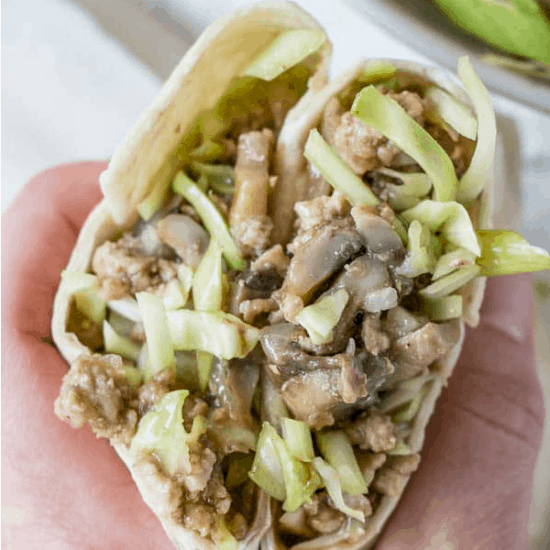 Hoisin Mushroom and Cabbage Wraps from My Kitchen Love make a one pan, quick and easy supper the entire family will devour! 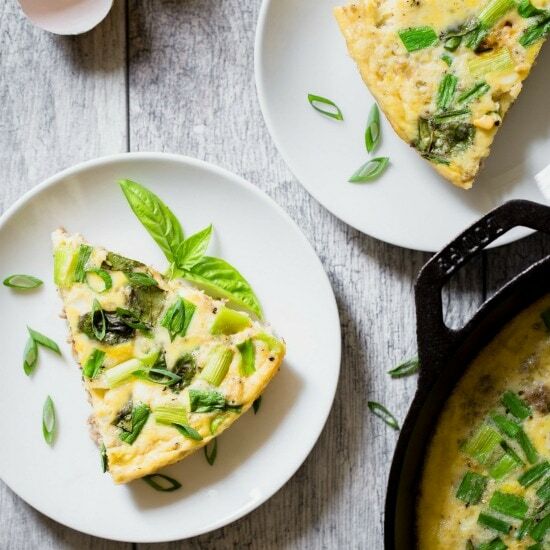 How about something very different with this Vietnamese Frittata with Ground Pork, Onion and Basil from Delightful Plate. The minute it comes out of the oven, you will marvel at how good it smells. 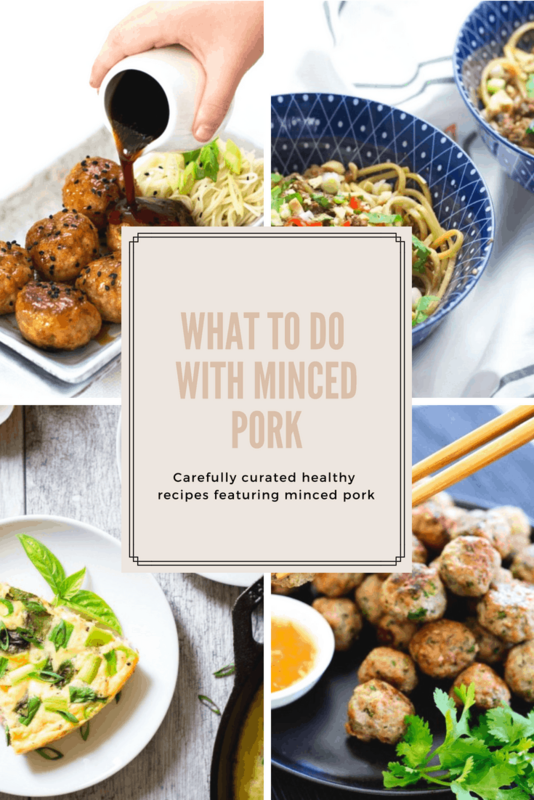 What will you do with your minced pork? 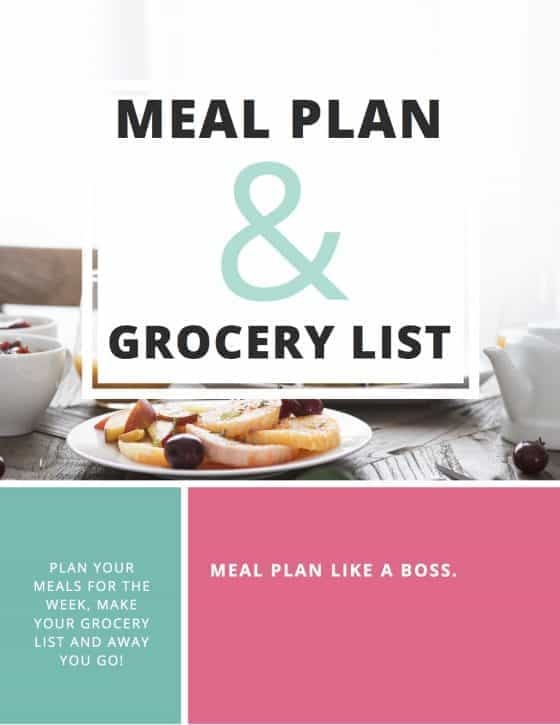 Any recipe you want to try out first? Any amazing ideas we have missed out on – please feel free to share in the comments.